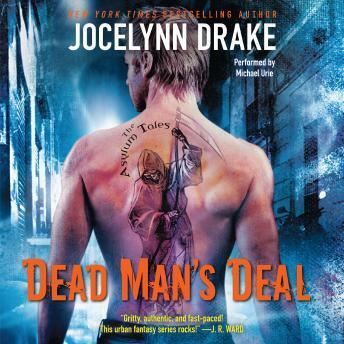 Dead Man's Deal by Jocelynn Drake continues the dark and dangerous adventures of a magical tattoo artist begun in Angel's Ink. In a gritty urban fantasy world where elves, faeries, trolls, werewolves, and vampires swim free in a sea of humanity, sometimes you need an edge. Looking for a little love? Need some luck? Desperate for revenge? Gage can give you what you need. The most talented tattoo artist in town, he knows the right symbol and the right mix of ingredients and ink to achieve your heart's desire. One tattoo is all it takes. But remember, everything has its price.